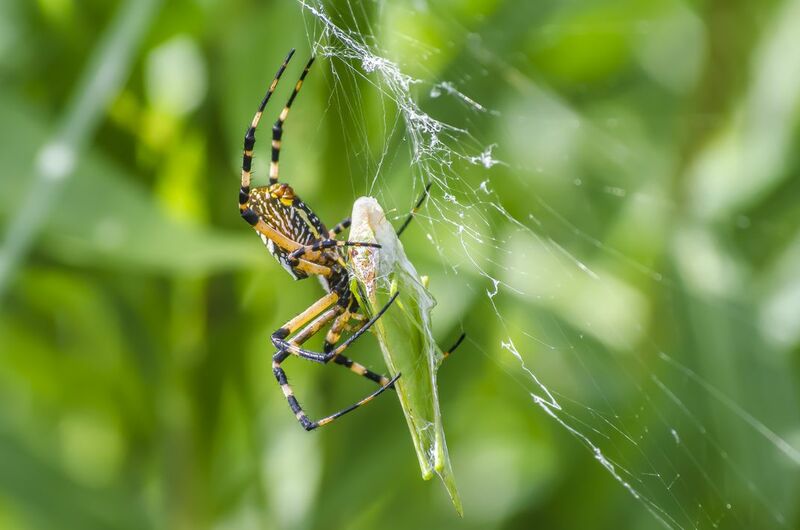 This is a black and yellow argiope, also known as the golden garden spider. This one is in the process of wrapping an insect of some kind (possibly a grasshopper?) up in silk to eat later. Date Uploaded: June 16, 2018, 7:37 p.m.